Today’s post is about a protection prayer from the Celtic Christian tradition. The Celtic Church developed differently than the Roman Catholic and Orthodox Churches, mainly because of their distance from the central locations of Rome and Constantinople. They also were not as influenced by the Roman Empire, although they were part of the Empire for some time. The Celtic Church developed around the monks and monasteries on the British Isles. So it would follow that some of their traditions would differ than the more mainstream Churches. The Celtic Church developed a special type of protection prayer, the Caim Prayer or Circle Prayer. 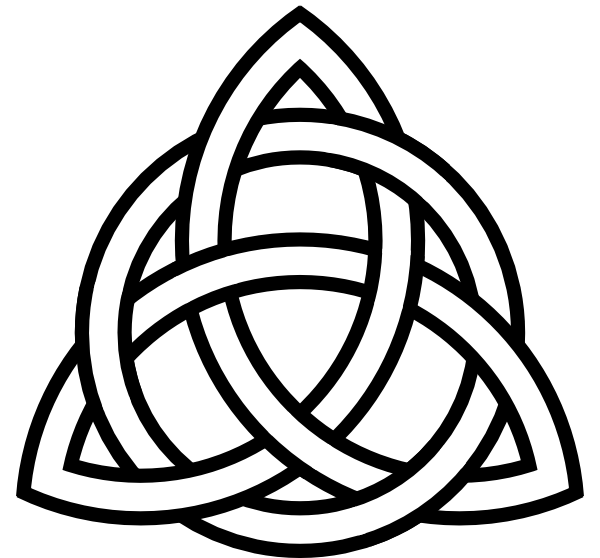 This was a way to surround oneself with the protection and blessing of the Triune God. To perform the Caim Prayer, you stand up, point your right index finger at the ground and turn in a clockwise circle. At certain positions you will say prayers. In this prayer you can imagine the circle you drew with your finger as a circle of protection, where you are in God’s protection and care. He has removed all evil influence from your circle; you can be at peace within it. You can even imagine this as a traveling circle, it is always around you, when you walk it comes with you. I hope that you find these prayers helpful and comforting. They can be good prayers to pray before you start listening prayer, intercessory prayer, or contemplative prayer. Of course anytime you start to feel any possible spiritual attack they can be good protective prayers. Question: Do you have a protection prayer that you like to use? Have you ever used these prayers, if so did you find them comforting? This entry was posted in Spiritual Formation Thursday, Uncategorized and tagged Breastplate, Caim, Celtic, Circle Prayer, God, Jesus, Prayer, religion, St Patrick. Bookmark the permalink. All very interesting, Bro. Jesse. Thanks. There is a rubric in the Lorrha-Stowe Missal to make a “caim” over the head of the person who has just received the Blessed Sacrament…..do you know any more about this? Were special words or blessings said? I am following David Cole’s Celtic Lent. Today’s chapter is about st N I n I a n and mentions circling prayers. Here are some examples.